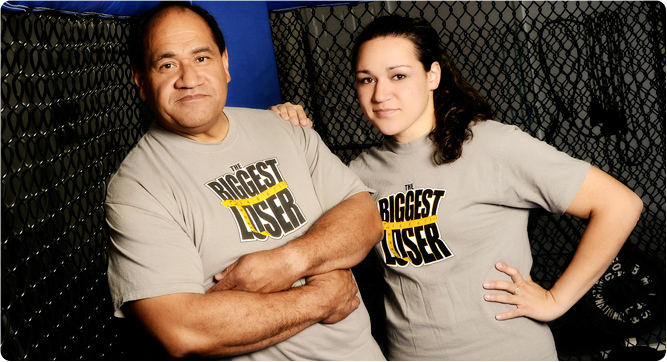 After 15 episodes and more than 150 pounds lost, BYU alumnus Moses Kinikini asked to be voted off the TV show The Biggest Loser. To learn why, watch him tell his story. BYU raked in a record number of student Emmys with flicks Mr. Bellpond, My Hero, and I Am Not My Body. Watch behind-the-scenes video and interviews here. They made it to math's Big Dance, placing in the top 25 for the fourth consecutive year. Now BYU's star mathletes are tasting fame. See their rap video. Nachelle Mackie won the national 800-meter title. BYU is the team to beat in the event, winning three times in the last four years. See Mackie's record time. Want to survive a bear attack? BYU biologist Tim Smith says a gun should not be the weapon of choice. Here, the bear expert shares what works. Author and UCSD professor Naomi Oreskes spoke about climate change and a faith-based perspective. See two BYU professors discuss the empire of fashion in Europe and historical moments when fashion mattered most. CIA historian Nicholas Dujmovic takes a look at Ronald Reagan at the end of the Cold War in this lecture. Boston College professor Sheila Blair discusses how art historians have portrayed the Mongols in Iran. See what a research team including professor Tim Smith found about the role of religion in therapy. Alumna Tanise Chung-Hoon, who raises money for BYU, loves her job: she gets to see people at their best. Utah State's Victor Lee shared how he uses microchips to help K–12 students track their exercise and interpret the data. Graduate student TJ Bliss won $6,000 to put toward statistical methods he's developing to detect cheating on exams. See how he catches cheats. History professor Craig Harline's book was a finalist for an award sponsored by Harvard and Columbia. Check out the most recent BYU Political Affairs Society newsletter, with contributions from the Hawaii, New York, and Washington, D.C., chapters. Read the new School of Social Work newsletter to get to know new faculty members, bid farewell to retiring professors, and catch up on school news. See the BYU Ballroom Dance Company, one of the best formation ballroom dance teams in the world. Napoleon Dynamite got its start at the Final Cut Film Festival. See what this year's student film festival will turn up. In her recent devotional, theatre and media arts chair Amy Jensen encouraged using technology to increase agency. BYU's big band jazz ensemble welcomes special guests Alex Boye, Little Big Band, and Chris Bacon. See what happened at BYU's first German Week, an event put on with support from the German Embassy. In a published study, biology professor Keith Crandall explains where cheese contamination starts. Bernadette Melnyk, dean of nursing at Ohio State University, shared tips on how to implement an evidence-based practice. Data collection can be challenging. See the advice faculty members picked up on how to evaluate data-collection tools. Janelle Macintosh was a cashier before she took the steps that led to her current post as BYU's newest nursing professor. Dr. Socorro Gross-Galiano of the Pan American Health Organization discussed health equity at a BYU conference. Ed Burger–who's been called America's Best Math Teacher–visited BYU and put math in the perspective of history. A recent paper airplane competition got busy physics students out of the library and socializing. Popular Science featured BYU's electric streamliner, which set the land speed record for lightweight race cars. Fifteen BYU students landed impressive judicial clerkships this year. Read more about two of them. California Supreme Court associate justice Goodwin Liu spoke on "Martin Luther King and the Good Samaritan." Watch international law expert and professor Cole Durham lecture on important religious freedom cases. The Financial Times ranked the BYU MBA program's human resources and accounting teaching no. 1 worldwide. Stripling warriors and other video game characters helped Brad Moss win Student Entrepreneur of the Year. A BYU MBA student team beat out Ivy League students for second place at the Wharton Buyout Case Competition. The first student-run impact investing firm in the world works with big-time CEOs and helps people invest to curb poverty. See clips of the devotional BYU Magazine readers are raving about, or watch it in full. BYU's law and business schools rank among the nation's top 40, says U.S. News. The library shows off its geospacial mapping technologies in a new exhibit. German Latter-day Saints caught in World War II tell their stories of survival in a new book.